Something I discovered over the summer (when it was too hot to layer) was that I could often wear my Marbella tanks without (gasp) a bra. This is not a common occurrence for me, though I realize that different people have different comfort levels with wearing bras (or not), so no judgement from me! Because the Marbella is a slim-fitting tank, when I use mid to heavyweight cotton lycra (as is common with custom printed cotton lycra), I realized there was a fair amount of compression with the garment. 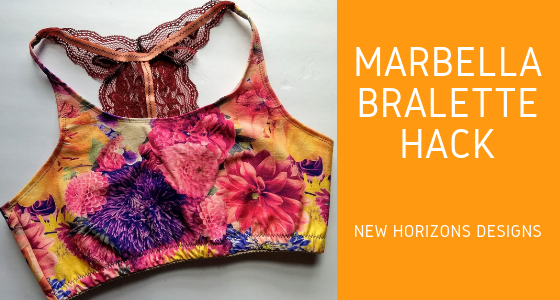 Which inspired me to ask the question… Could I hack my beloved Marbella into a Bralette? Then answer, my friends, is yes. Read on to see the steps I took to accomplish this! The first step of this hack is to do some measurements. I highly suggest making at least one Marbella (of any style) prior to trying this hack. It will help you to know how the pattern fits on your body, which, as we all know, varies from one person to the next! Try on your existing Marbella tank and, while it’s on your body, mark where you want your bralette to end. I measured this point over the fullest part of my bust (down from the shoulder seam), knowing that the fabric can’t be measured flat to calculate this because it will be shortened by the curve of the bust. *Make sure you’ve accounted for seam allowance and band elastic attachment (more on this below) – basically, cut an inch or two longer than you think you might need and adjust it as you go along. Always better to have too much length than not enough! Once that spot is determined, find the center front, back, and side seam points that correspond with that measurement. These are the points you will use to make the changes to your paper pattern. 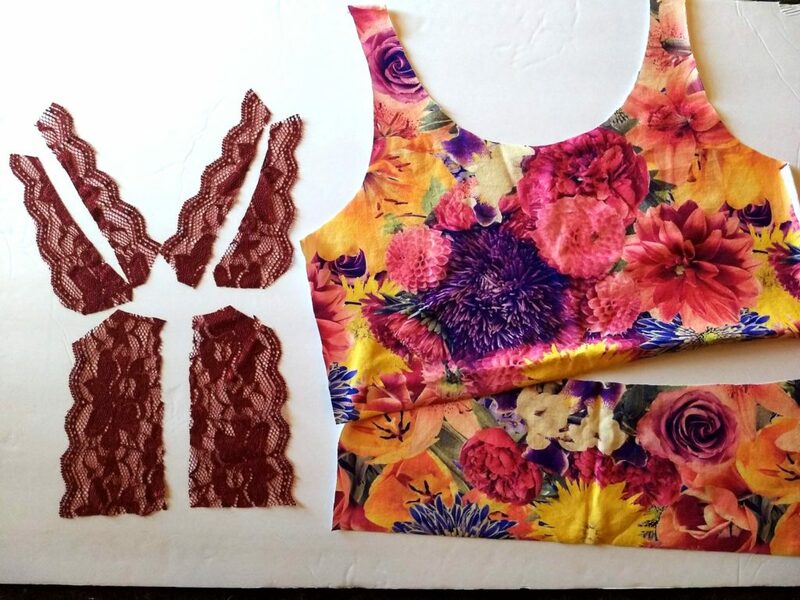 Cut out your fabric using the modified (cropped) pattern pieces. I highly recommend using a thicker cotton lycra for this hack – you definitely want your fabric to have a good weight and good recovery. Use whichever lace back options you would like. There is not modification for the lace pieces on this hack. *Make sure you’re cutting mirrored pieces of your lace as indicated on the pattern pieces (ask me how I know this step is hard to mess up). Lay out your pieces and double check you have everything! 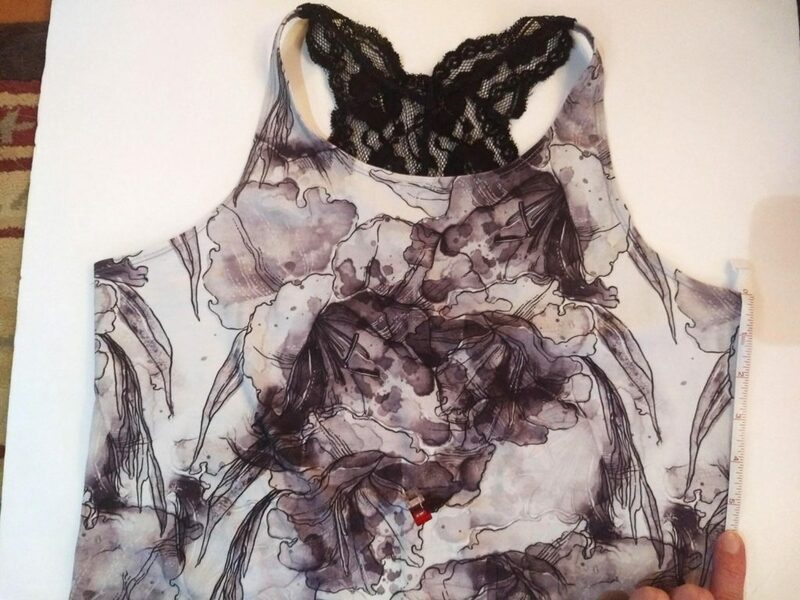 To add to the existing pattern pieces, you will need some elastic for the under bust band (either regular elastic ¾”-1” in width which you can enclose in a knit casing) or plush back bra band elastic, like I used. 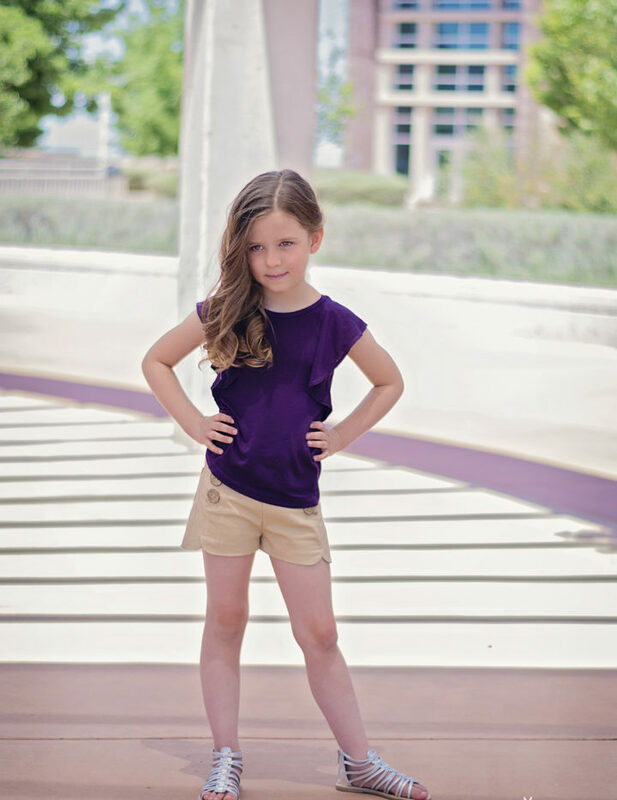 I also used plush back elastic ⅜” width to reinforce the lace seams and provide additional support. I would consider this optional, but recommended, especially for bigger busts. I think you could also use regular ¼” knit elastic or clear elastic and see how the results come out. 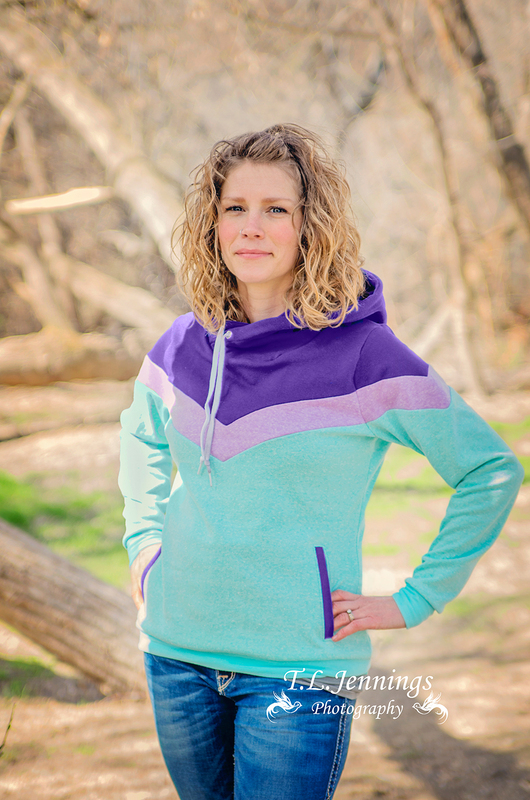 Once all pattern pieces are cut out, follow the instructions in the tutorial for whichever back option you are using, up to the point where you would hem the neckline, armholes, and hem. To determine the length of the band elastic, wrap the elastic around your under bust and pull it snugly, but not too tight. 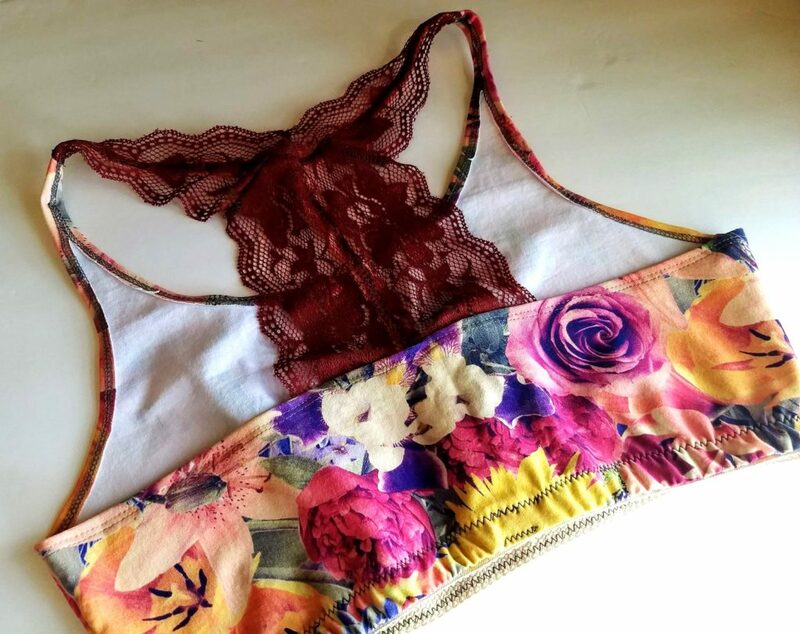 You want it to be firm, but comfortable and still be able to fit over your head when you pull the bralette on. For example, my under bust is 34” and the piece of elastic I used was 29”. Apply the band elastic (or the elastic casing) to the raw bottom edge of the crop top. 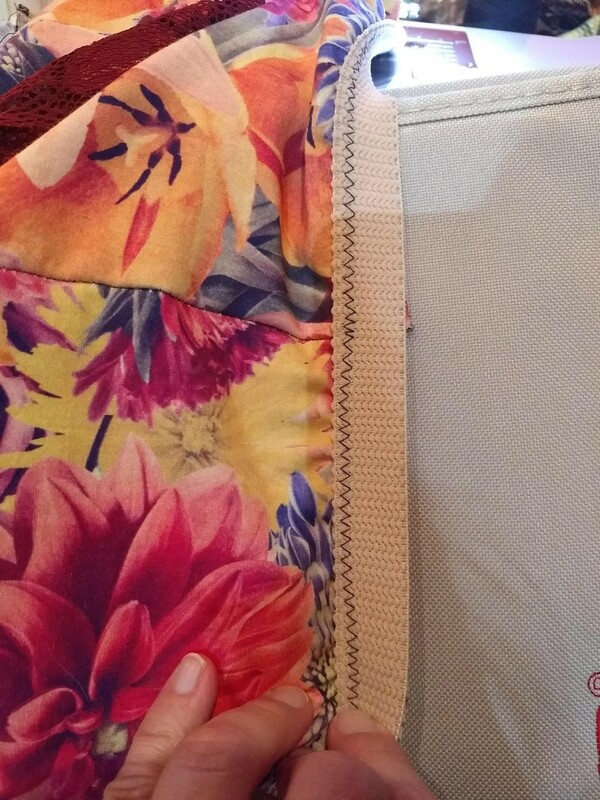 If using plush band elastic, use the following technique: place the plush side facing up, scalloped edge toward the top of the garment and the other edge of the elastic lined up with the raw edge of the hem. Mark the center front, sides, and back of the garment and the elastic. Stitch with a zig zag stitch as close to the scalloped edge as you can, all the way around, overlapping the ends of the elastic a bit in the mid-back. As you zig zag, stretch the elastic gently to match the raw edge, while holding the end you’ve just sewn stable with your other hand (I hold behind the needle with my left hand, pulling the elastic taut in the front with my right hand to meet the raw edge). After the band elastic is attached with the first round of zig zag stitches, trim the excess raw edge of the cotton lycra from that seam down (optional, but recommended) – the amount you will trim depends on the width of your band elastic. The purpose is so that the raw edge of the fabric does not extend beyond the band elastic on the inside of your garment. At this point, flip the elastic to the inside of the top, plush side facing in, and stitch that edge down using a 3-step zig zag. These are basic bra making techniques, so if you’re stumped at this point because my instructions are lacking, a quick google or YouTube search should yield good results. For the lace back reinforcement, I measured elastic the length of the seams I wished to reinforce. No need to lengthen or shorten, as the purpose is just to strengthen the seam. I did extend the vertical piece of elastic down the center back all the way to the under bust band elastic (as I know from bra making that this provides more support). On the shoulders, I extended about an inch beyond the shoulder seam, knowing those pieces of elastic would be encased and secured when the arm and neck openings were hemmed. Attach this elastic with a simple zig zag stitch, centering the elastic on the seam as close as possible. Then hem the armholes and the neckline as per the instructions. I use my cover stitch for a nice finish. 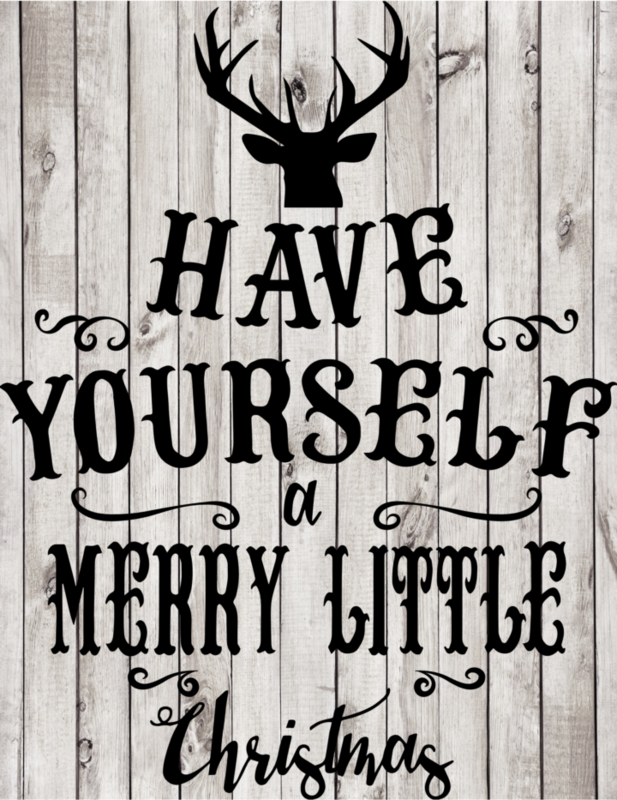 Enjoy your marvelous creation! I’m really pleased with how this turned out for an idea I dreamed up over the summer! It’s not at all a sports bra – just a bralette – super comfortable. If you wanted to increase support, you could use two layers of cotton lycra or power mesh! 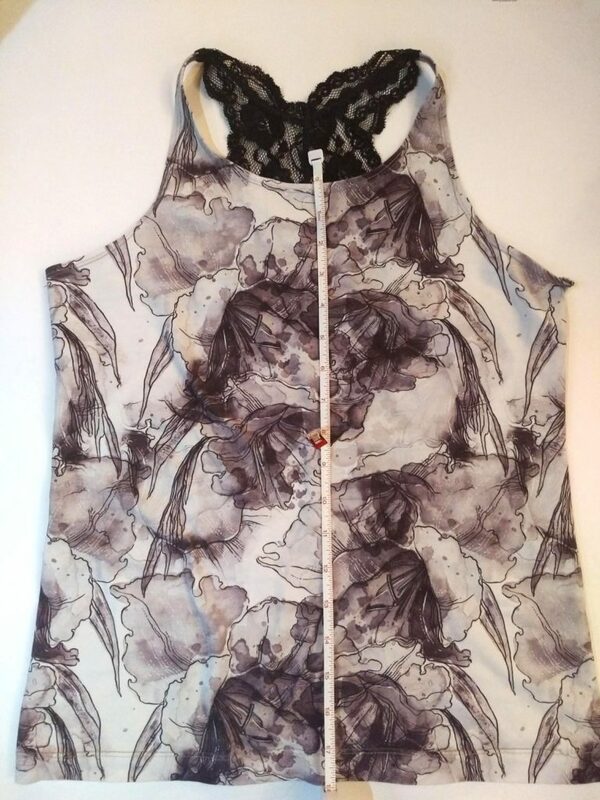 You could also finish the armholes and neck opening with FOE for a little more structure. Lots of possibilities with this already versatile pattern. Don’t hesitate to reach out to me if you have any questions – I’m always happy to help! We can’t wait to see what you do with this little hack tutorial!